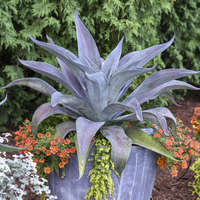 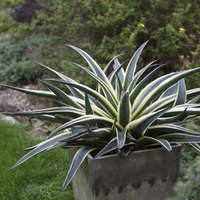 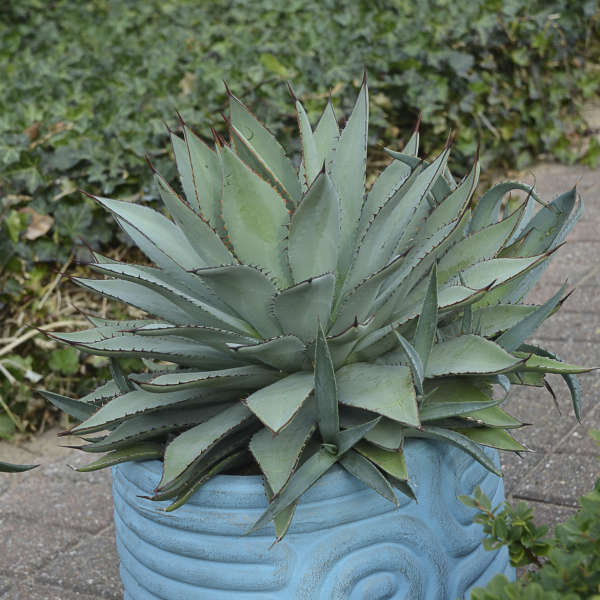 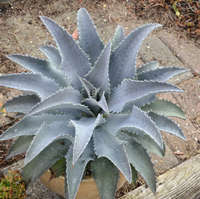 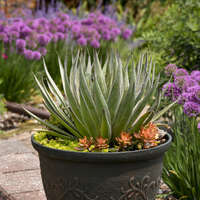 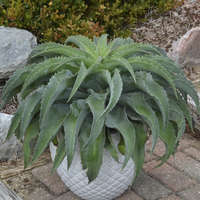 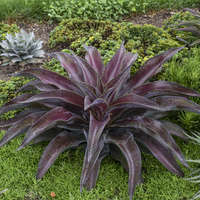 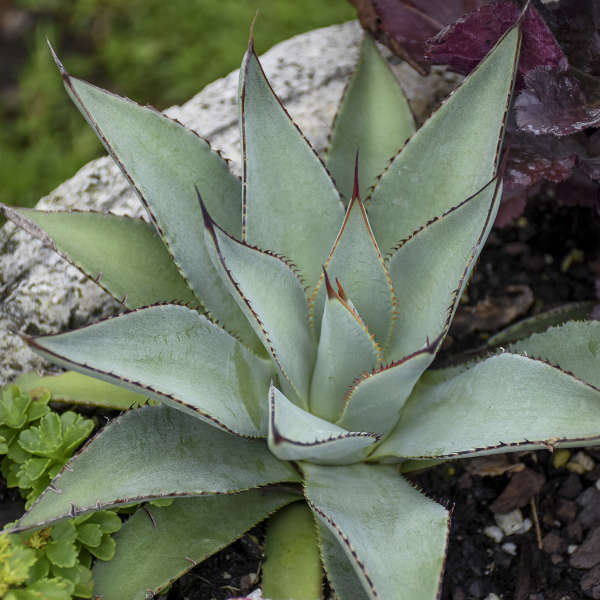 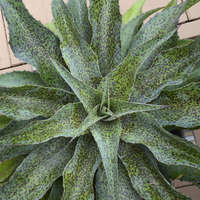 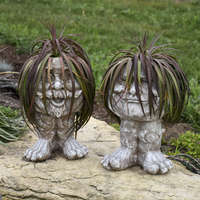 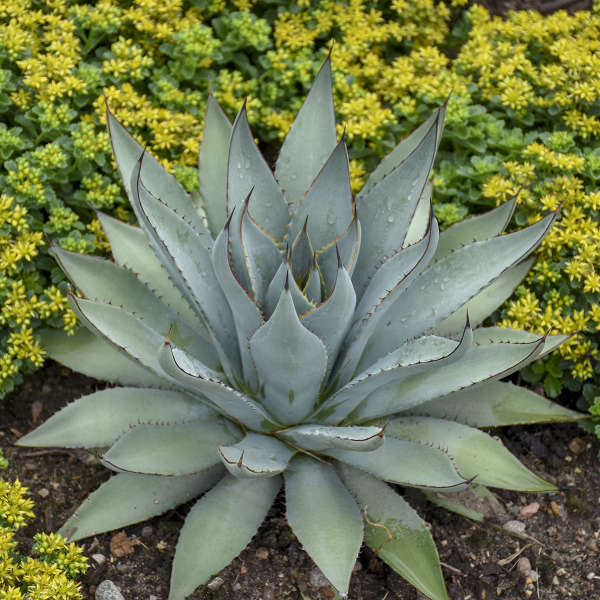 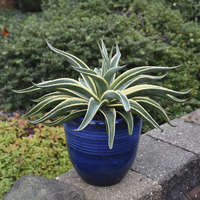 This small to medium-sized Mangave has a classic "Agave look" while still being a Mangave hybrid. 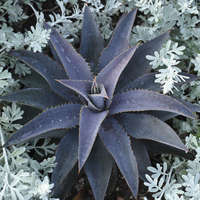 What's special about this succulent is its blue coloration-a perfect choice for combining with other colored succulents such as green or red. 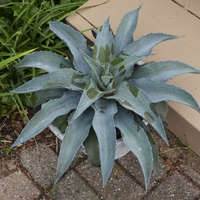 It gets its silvery blue appearance from the waxy coating to the leaves. 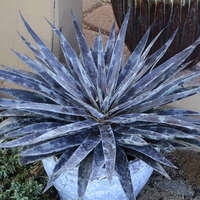 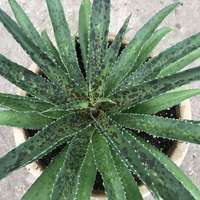 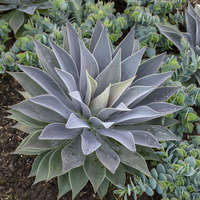 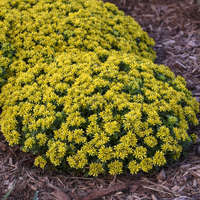 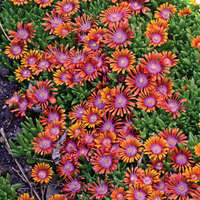 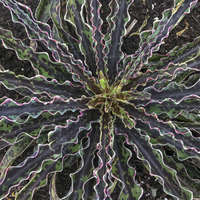 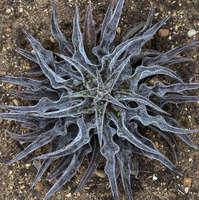 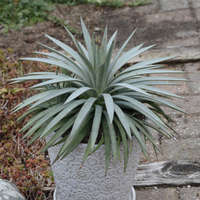 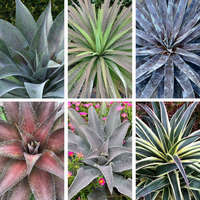 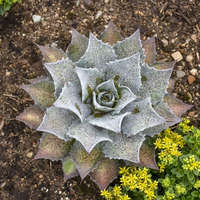 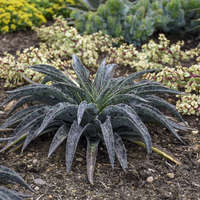 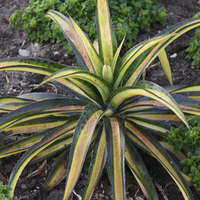 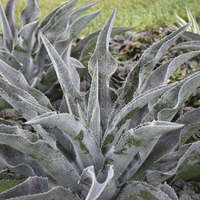 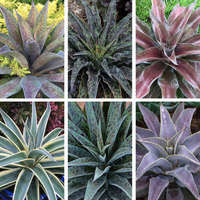 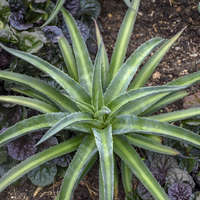 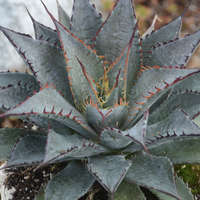 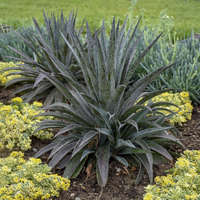 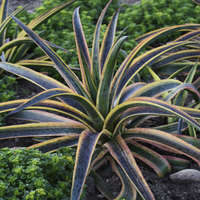 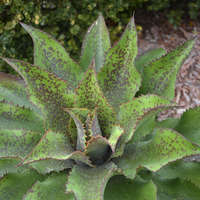 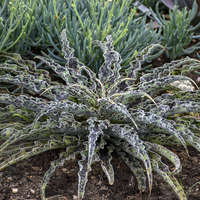 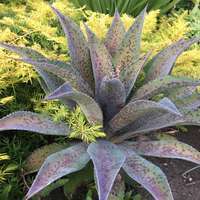 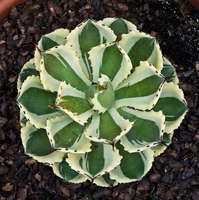 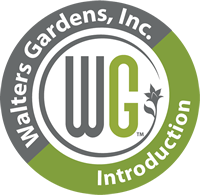 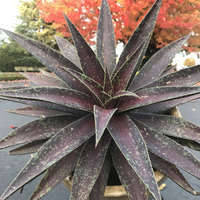 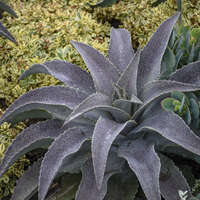 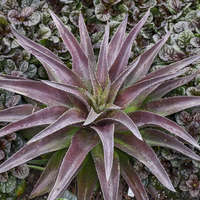 This forms a perfectly symmetrical rosette of very rigid leaves that are edged with dark brown margins and terminal spines. 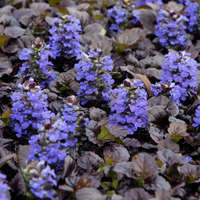 The brown margins really make the blue color pop!